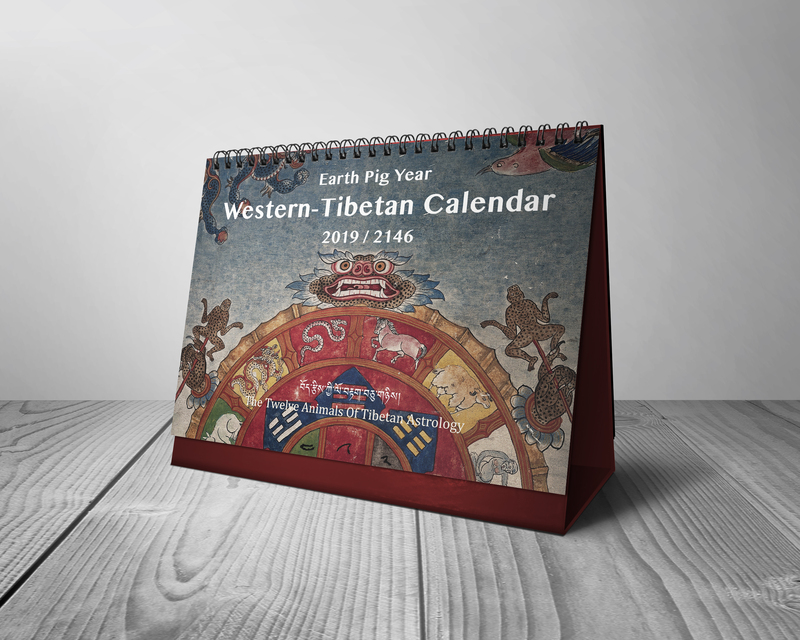 The desk calendar includes Tibetan and Gregorian calendar dates, indicating special days for Buddhist practices such as tsok feast days, sojong days and other important dates. 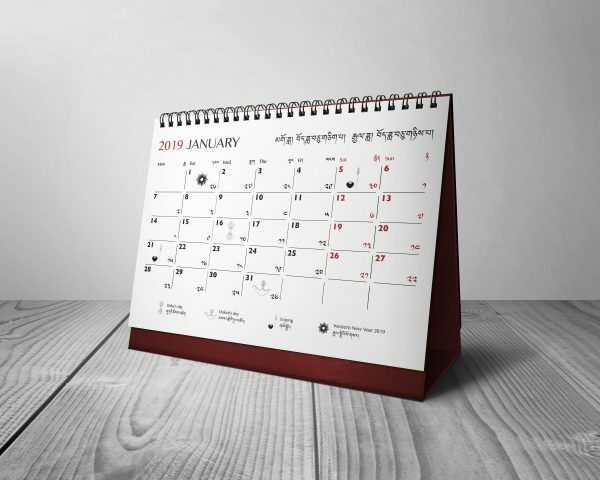 Western-Tibetan desk calendar displays both Tibetan and Gregorian calendar dates and indicates days on which special practices are done. 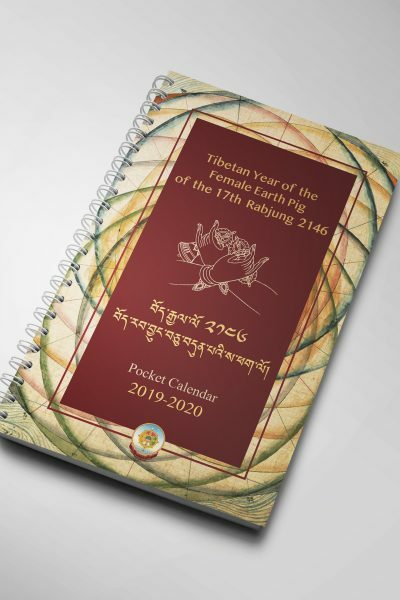 The calendar ends on Losar , The Tibetan New Year. 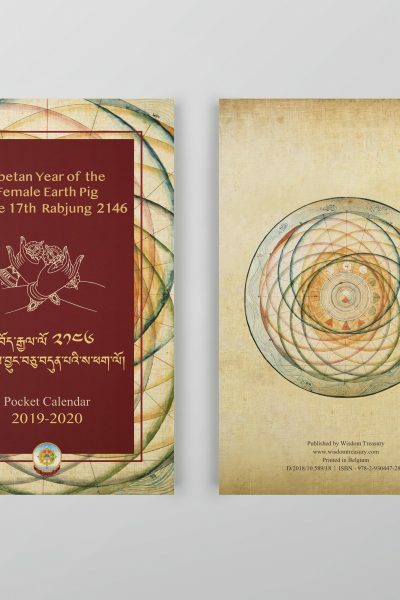 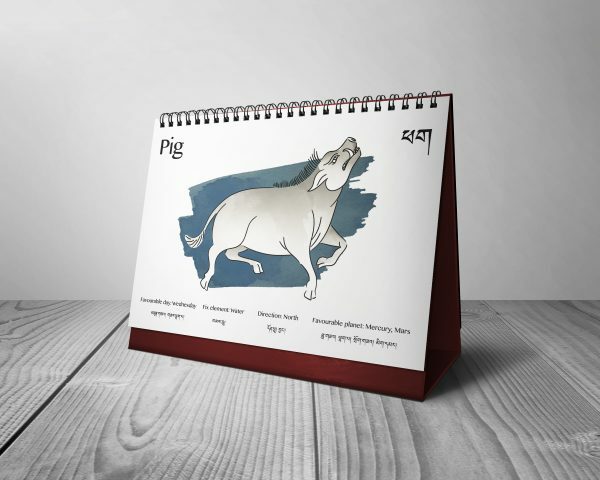 This 2019 edition of desk calendar is dedicated to the twelve animals of Tibetan Astrology. On each page you will find the original illustrations together with the basic information and facts about each of twelve animals.